PAGeoTechnical supplies a variety of geomembranes for invasive weed control. Applications include root barriers, cell formation, structural protection, the prevention of horizontal spread and membranes for temporary on-site bund treatment. In addition to supplying roll material we are able to provide prefabricated bespoke welded panels delivered to site. Our highly trained NVQ qualified technicians offer a full installation service if required, working with the Client, Consulting Engineers, The Environment Agency and the Local Authority. Our advice is free, with over 15 years in this sector and access to the widest possible range of geosynthetic membranes and ancillary products. PAGeoTechnical works closely with highly regarded international manufacturers providing us with unrivalled technical support together with regionally based geomembrane professionals covering the UK. All of our engineered geomembranes are manufactured from virgin polymer and do not contain recycled material making them suitable for all burial installations, including near water courses. 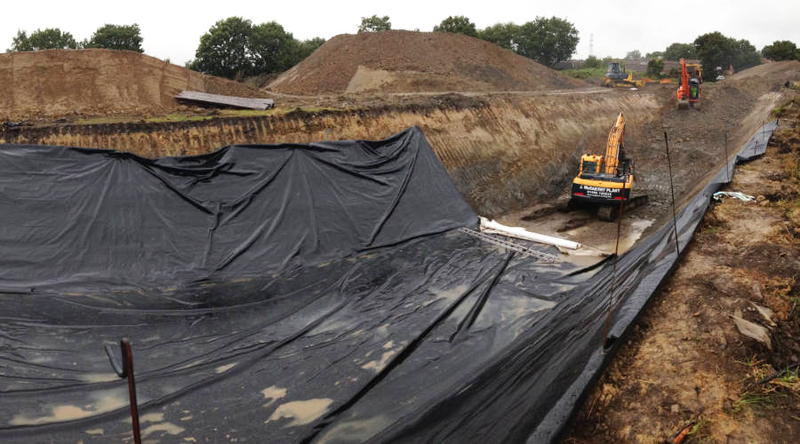 Typically with Japanese Knotweed projects we would offer geomembrane with a reinforcing grid, the grade specified reflecting the particular application. For temporary works such as bund treatments we offer economical coated fabric materials which can be pre-welded to minimise site jointing. These are available in various grades dependant on application and anticipated contract timescale. Contact us for application, incorporation and material advice on any invasive weed control project. We supply materials for the majority of projects and can advise on design and potential installation problems prior to site start up. 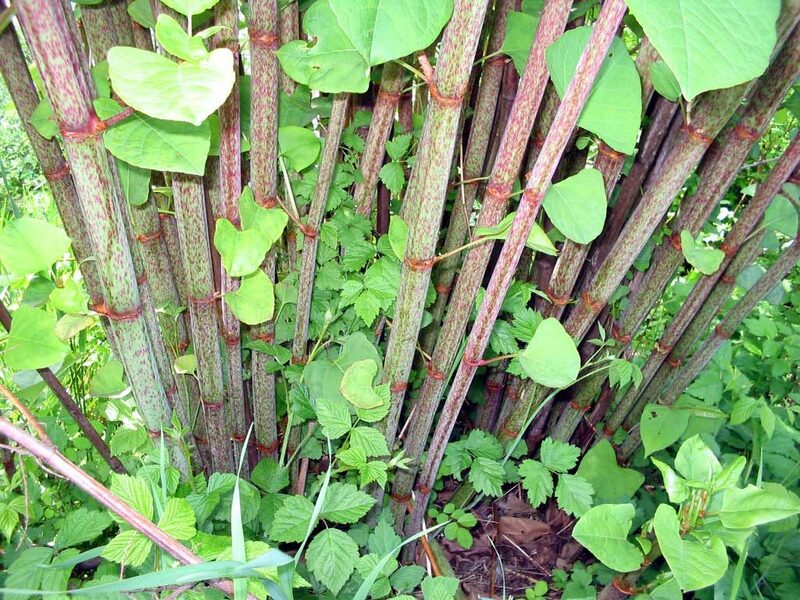 Root barriers can be used for a simple tree root problem or landscaping application, to an engineered barrier or knotweed cut-off trench to prevent the horizontal growth of Japanese Knotweed. PAGeoTechnical has a range of materials including PE based coated fabrics and a full range of reinforced polyethylene monomers. From basic solutions to redirect root growth and eliminate surface rooting, providing ongoing root control in hard landscape applications, to fully welded and installed vertical root barrier projects on development sites, where Japanese Knotweed has been identified, we are able to work with clients as part of their Japanese Knotweed Management Plan.